Last week, I called “contrived nonsense” on the claim by David Attenborough and the production crew of Netflix’s ‘Our Planet’ that the walruses they showed falling to their deaths were victims of global warming. After unbelieveable media attention since then, newly-revealed details only solidify my assertion. Something stinks, and it’s not just the bad acting of director Sophie Lanfear in the ‘Behind the Scenes‘ trailer as she delivers her WWF-approved message: “This is the sad reality of climate change”. Despite many statements to the press, the film crew have steadfastly refused to reveal precisely where and when they filmed the walrus deaths shown in this film in relation to the walrus deaths initiated by polar bears reported by The Siberian Times in the fall of 2017. 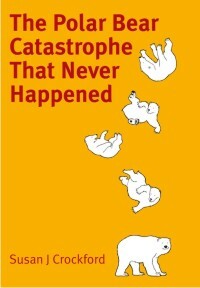 I can only conclude, therefore, that the two incidents are indeed essentially one and the same: that the filmmakers, probably alerted by resident WWF employees at Ryrkaipiy, moved in after polar bears caused hundreds of walrus to fall to their deaths. The crew then captured on film the last few falls over the cliff as the walrus herd moved away from the haulout. The lie being told by Attenborough and the film crew is that 200-300 walruses fell during the time they were filming, while in fact they filmed only a few: polar bears were responsible for the majority of the carcasses shown on the beach below the cliff. This is, of course, in addition to the bigger lie that lack of sea ice is to blame for walrus herds being onshore in the first place. See my point-by-point analysis below and make up your own mind. 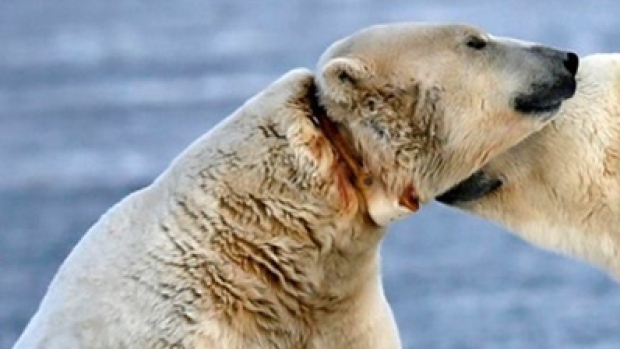 It’s been six months and still the IUCN Polar Bear Specialist Group has not updated its website with a link to the 2015 IUCN Red List assessment for polar bears, which was made public with some fanfare in November 2015. They are not the only group still ignoring the Red List decision but their silence is the most damning – the IUCN is the parent body of their organization. On May 7th, I wrote to the IUCN Red List folks (redlist@iucn.org) about this situation (excerpt below) but as yet have received no reply. The offensively tasteless “art” produced by Danish sculptor Jens Galschiøt, in collaboration with the World Wildlife Fund, for the specific purpose of influencing politics has reappeared. 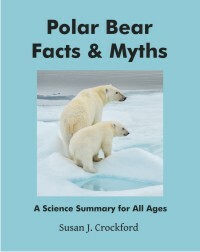 You have to know that the 2015 IUCN Red List assessment for polar bears contains good news because no one is talking about it – and none of the online information sources I’ve checked have updated their polar bear profiles to reflect it. 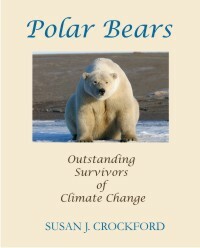 For all its flaws (including the deceptive focus on summer sea ice), this Red List update is the most statistically robust, in-depth study of the conservation status of polar bears – why is it being ignored, especially by the conservation organizations people turn to for information online? UPDATE: see 18 January 2016 post here. 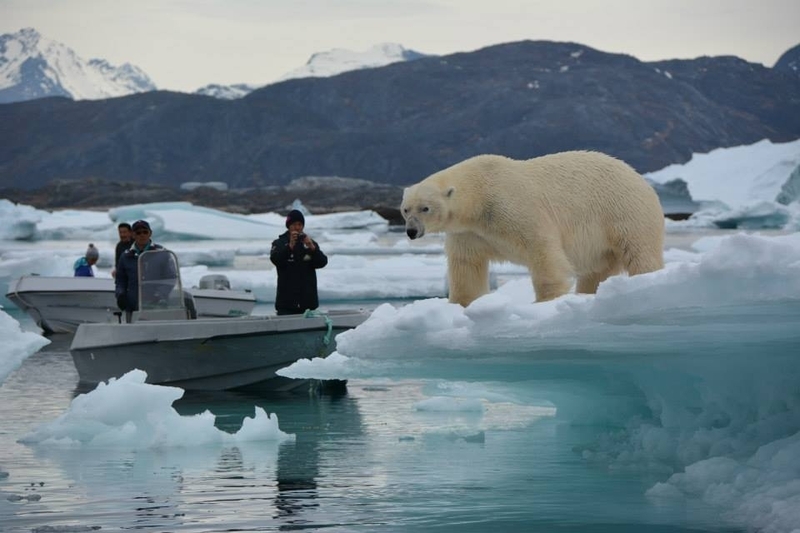 Last week, among other events, the first fat polar bear of the season was photographed on shore in Western Hudson Bay, a fat bear was run out of town in South Greenland, and media outlets spread misinformation – apparently preferring global warming hype to rational facts. 2) Fat polar bear spotted in Nanortalik, Southern Greenland 18 June 2015, a bit further south than usual. People from the community drove it away, but not before taking lots of pictures. Some very cool photos, including the one above (taken by Henrik Hansen), worth a look. This bear was in excellent condition, well prepared for the summer fast ahead, whether he ends up spending it on shore somewhere (but not near this community!) or on the sea ice further north in SE Greenland (Fig. 1 below). The ice in that areas is probably broken up (~15-30% concentration) but this is enough for the bear to swim from flow to flow to make it’s way up the northeast coast where most East Greenland bears spend the summer.